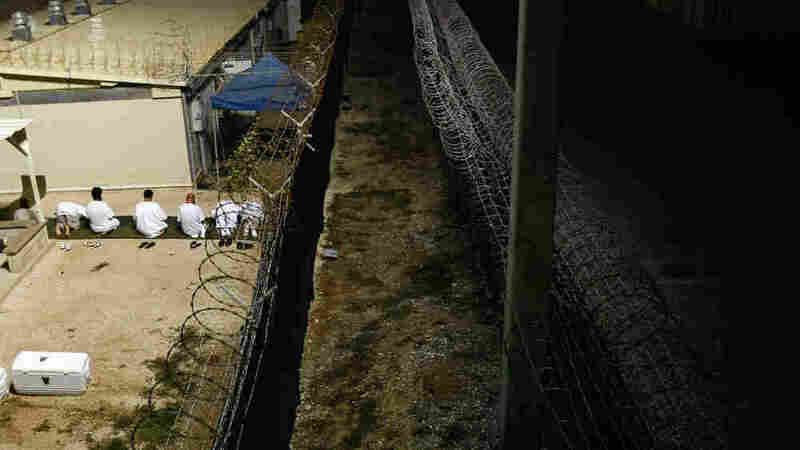 Obama Guantanamo Retreat: Maybe Embarrassing But Politically Neutral : It's All Politics The president's failure to close Guantanamo is unlikely to hurt him politically because voters are more concerned about the economy than terrorism and Gitmo. 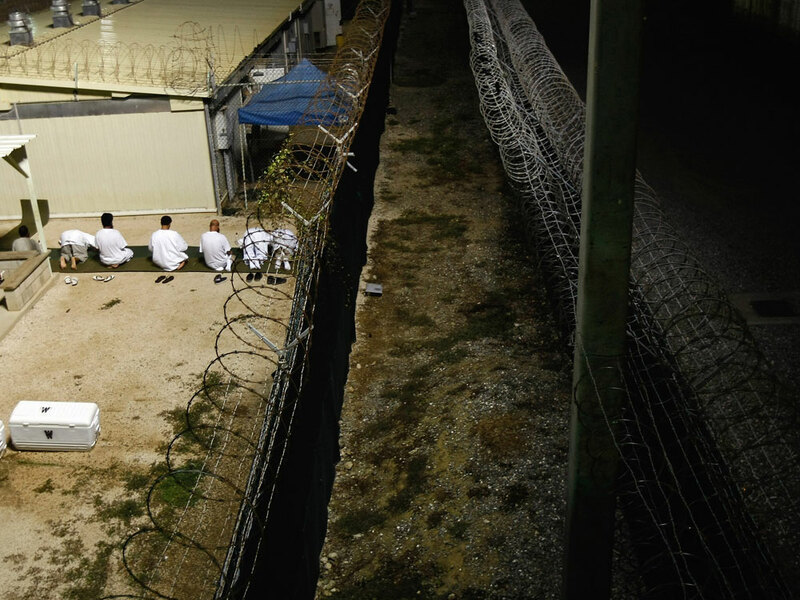 Detainees kneel during an early morning Islamic prayer at the U.S. military prison in Guantanamo Bay, Cuba, on Oct 28. President Obama's announcement Monday of a resumption of military trials at the Guantanamo Bay detention facility, a failure of his campaign pledge to close the site, likely won't hurt him politically. The president's Gitmo failings might matter politically if he were facing a credible primary challenge from the left. But there's no sign of such a threat. More importantly, the most important issues for voters remain the economy and jobs. The battle against terrorism, of which Gitmo is a subsidiary issue, while still important, lags behind the economy. Meanwhile, for liberals unhappy with the president's decision to go ahead with new military tribunals at Gitmo, he has a few arguments to try and placate them. And he's using them. Among those arguments: he's still committed to closing Gitmo but, short of being able to do so for political reasons, he's putting in place new procedures to bring the detentions closer to the norms of U.S. constitutional values and the Geneva Conventions. No one has done more to revive the reputation of Bush-era antiterror policies than the Obama Administration. In its latest policy reversal, yesterday Mr. Obama said the U.S. would resume the military tribunals for Guantanamo terrorists that he unilaterally suspended two years ago, and he may even begin referring new charges to military commissions within days or weeks.